Over 23 million prices realized for art, antiques and collectibles in more than 100 categories and subcategories with over 10 million images. Provides biographical information on more than 700,000 people throughout history, around the world, and across all disciplines. Includes 30 million business profiles and contact information for 220 million residents. Find businesses based on employee size, sales volume, location, etc. Also includes job listings. Product reviews and ratings on cars, appliances, electronics and more. Search for your ancestors; check U.S. census records birth, marriage, death,immigration records and more. Comprehensive collection of full-text and indexed consumer and scholarly content for 13,000+ journals and reference works on all subjects. Collection of full-text and indexed 12,000+ titles on all subjects from 1980 to present. Includes The New York Times (1985+). Videos, photos, newspapers, and more. 200+ major cooking and nutrition magazines including recipes, restaurant reviews, and industry information. Collection of journals and e-reference sources for gardening enthusiasts and professionals alike. 900+ hospitality and tourism journals and travel guides, including Frommer's and DK Eyewitness Guides. Encyclopaedia for kids in middle school and beginning researchers. Thousands of articles relating to the field of education. Encyclopedia articles on a variety of topics. Designed for high school students. Full-text magazines, newspapers and reference books covering all subjects. Encyclopaedia for kids in Kindergarten through grade 5! Videos, pictures, magazines (and more) focusing on nature and society (and more) geared towards kids. Designed for middle school students. Curriculum-aligned magazines, newspapers, videos, and primary sources covering literature, science, social studies, U.S. and world history, and more. Information on today’s most significant science topics. Information on the most significant people, events, and topics in U.S. history. Information on the most significant people, events, and topics in world history. Find up-to-date biographical information, overviews, full-text literary criticism and reviews on more than 130,000 writers in all disciplines, from all time periods and from around the world. Get thousands of recommendations based on such criteria as age, genre, or author. Read and hear interactive stories! 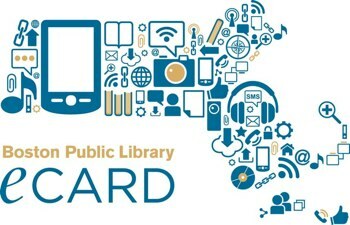 Access more resources through the Boston Public Library with a BPL eCard. Full-text articles from The Boston Globe (1980-current). Broker research reports, trade publications, company directories, and business newspapers/journals. Repair information for most major manufacturers of domestic and imported vehicles. Information on diseases, conditions, drugs, and health services. Includes the full text and images of forty nursing, allied health and medical journals; consumer health magazines; newsletters; pamphlets; newspaper articles; topical overviews; and reference books. 900+ hospitality and tourism journals and travel guides, including Frommer’s and DK Eyewitness Guides. Massachusetts legal forms (lease, bill of sale, divorce, wills, etc.). Indexes to special collections (archives, historical societies, towns) in Massachusetts. 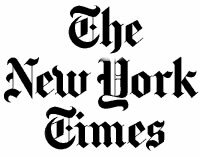 New York Times (Digital Edition): At Home Access | In Library Access. Read the daily New York Times. Designed for grades high school students. Full-text magazines, newspapers and reference books covering all subjects. Full-text technology books (desktop and web applications, software development, digital media, and information technologies). Practice tests and books for a variety of standardized tests. Full-text Wilmington Town Crier (11/1955-last year). Language instruction for over 100 languages, including ESL instruction.